Smith and Petersen into last 16 at World Championship! 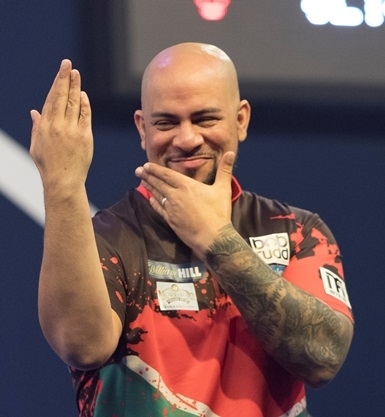 It was the perfect post-Christmas performance from the Team Unicorn duo of Michael Smith and Devon Petersen. Both won their 3rd Round matches 4-2. Smith beat John Henderson and will now face Ryan Searle for a quarter-final spot, while Petersen overcame Steve West and will next take on Nathan Aspinall. But Dimitri van den Bergh is out after he was stunned 4-1 by Luke Humphries. Smith was made to work by an inspired Henderson who kept pace for four sets with a host of 180s and three ton plus finishes. But class told in the end as the Unicorn star won 9 legs out of 10 to secure victory with a 100 average. He was two sets to one down. Henderson was playing well. Smith missed two darts to win the opening set and blew a two-leg lead in the third set to find himself trailing. Crucially though, he picked up the pace. The fourth set was won in just 38 darts. He won the next dropping just one leg and a big 99 finish at the start of the sixth set had Henderson reeling. The St. Helens star then banged in an 8th 180 and won the match on D10. For Petersen, it is an Ally Pally dreamland. 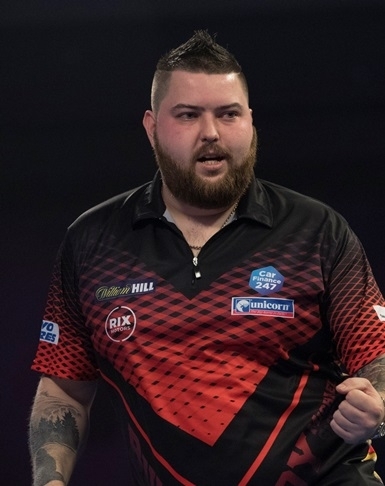 Not only a place in the last 16 but this latest victory secures his prized PDC Tour card. After a slow start he hit some big finishes. A 139 to win the second set. Then came a 127 on the bull at the start of the next, which he won with a 120. Although West levelled the match t two sets apiece, the South African star found that all important extra gear. West started missing chances and Petersen cashed in. First match dart was at D8 and that’s all it took. Another fabulous performance and victory. Van den Bergh looked to have started brilliantly as he nailed a 147 and 128 in the first set, but he missed one dart at D5 to take it and Humphries didn’t look back. The Belgian managed to stay alive by taking set three, but he was outplayed by the PDC Unicorn Development Tour winner. This defeat stops Dimitri getting into the world’s top 32. He will be bitterly disappointed.